Our beloved KGF is bathed in a sea of Red!! 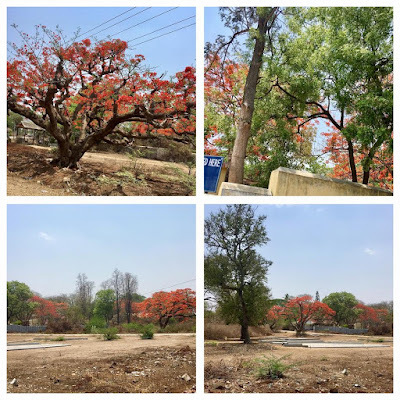 There were(and still are) huge Gulmohar or May Flower trees all over KGF. The Gulmohar trees were huge, almost 30 to 40 feet in height with large branches spread wide to form an awning. These trees were prized for their ornamental value and for their shade. 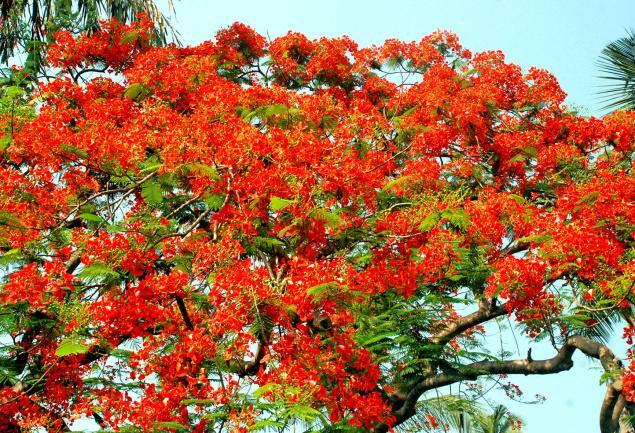 They usually flowered towards the end of April or beginning of May, soon after the first spells of rains in April. There was a popular saying in KGF that April Showers bring May Flowers. The riot of red flowers all over the place was a sight to behold. The bright red flowers had their own distinct smell. 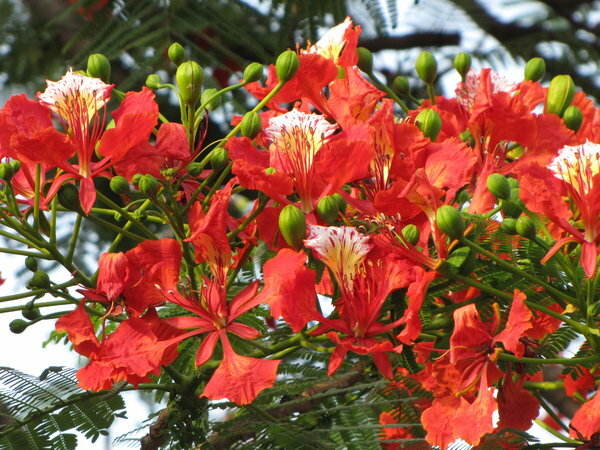 The delicate leaves comprising of small individual leaflets supported the clusters of red flowers so as to protect them during the day and they folded up during the evenings. The sepals and ovules after pollination formed long green pods which slowly matured. The ripe pods would split open into woody, boat-shaped forms. As Children e would collect these wooden pods and pretend they were boats and sail them in the water channels and drains.